Hi. Interesting stuff. I'll look forward to seeing the project. As for the Synta factory, I walked by on a Sunday. There were Synta uniformed workers (lab coats in kind of an old K-mart blue-green color) out front having a smoke, and a bunch of younger guys playing basketball on a court in the middle of the complex. 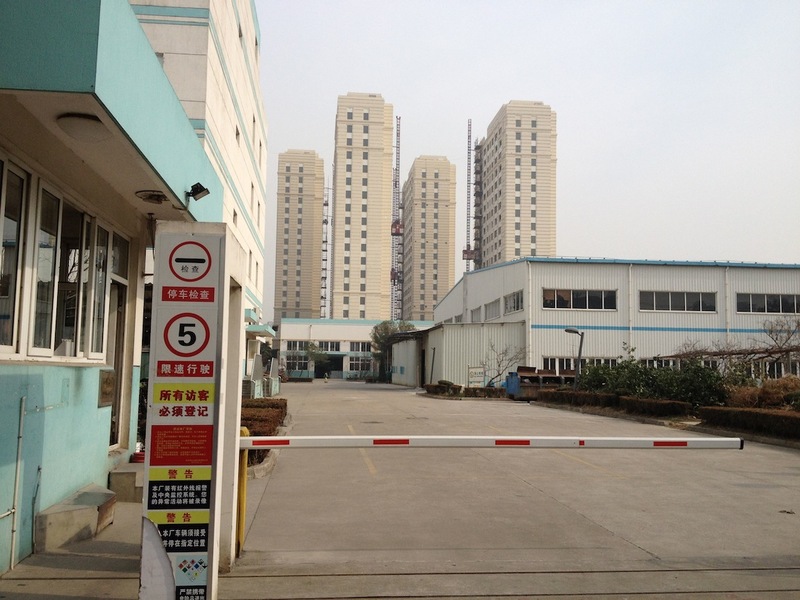 It is a big facility, 4 or so buildings, the one I showed in the photo is the largest, most office-building looking one. They certainly make things there. I doubt, though, that the dome on top sees much use. The factory is in a Japanese zone, with a Japanese high school across the street (kids playing baseball) and a street of bars/clubs for Japanese businessmen. The image is around back of the complex. I find the Japanese connection there quite interesting! I wonder how deeply it goes with regard to actual plant management and operations. Perhaps there is some reason Synta located here related to Japanese suppliers or other optical firms? Certainly the area around the Synta complex is Japanese dominated, just as the area I live in, SIP, has a very strong Korean presence. 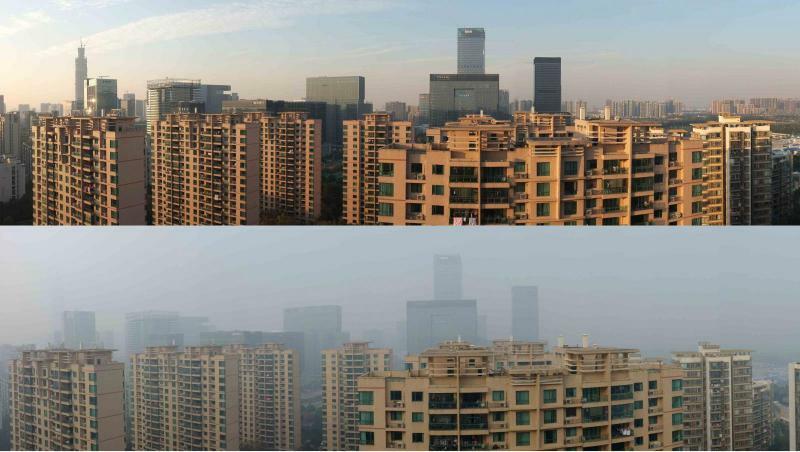 To show the scale of development (and the light pollution and air pollution one is up against here) the attached photo panoramas (taken from my Kitchen balcony looking north) show the view on a fairly good air pollution day (maybe 80) and a pretty bad day (maybe 300+ air index). Also, the pinkish foreground buildings are the housing complex I live in. Everything in the background beyond my housing complex is new in the last 3.5 years. Everything! That helps show the scale of what is going on in China. Great, thanks for the photos of Synta! What a great thread! I know it’s a zombie thread from 2015, but it was really interesting!